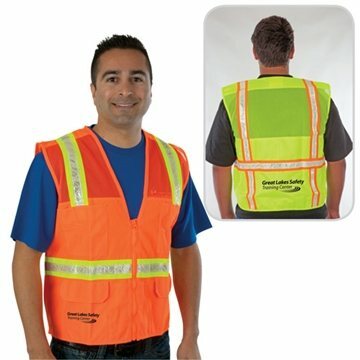 100% fluorescent polyester, mesh top and solid bottom, non-conductive/non-caustic zipper front closure. 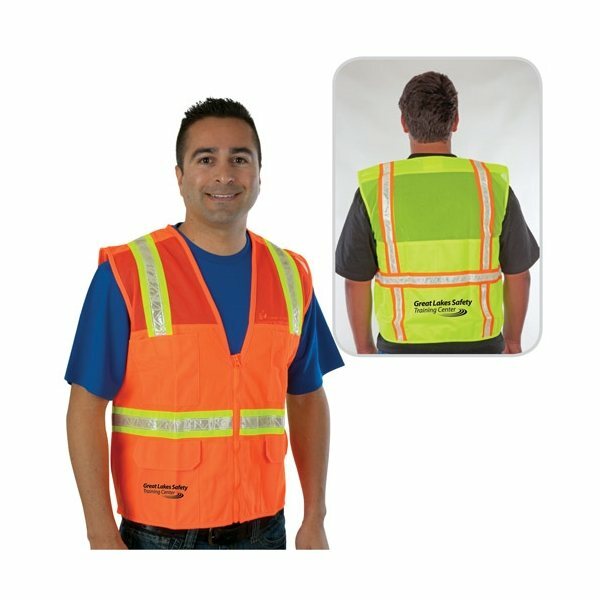 2" wide high contrast reflective stripes in vertical and horizontal patterns on both front and back. One upper left 4-division pencil pocket, one upper right 2-division pocket, two outside flap pockets with Velcro closure, two inside front pockets. Good quality, nice for colors. Great, low cost promotional item. Large area for displaying logo, phone number, etc. You guys do a good Job! Was happy there was enough room to add our website. the service is always top notch and their production times are either on time, or earlier than expected.